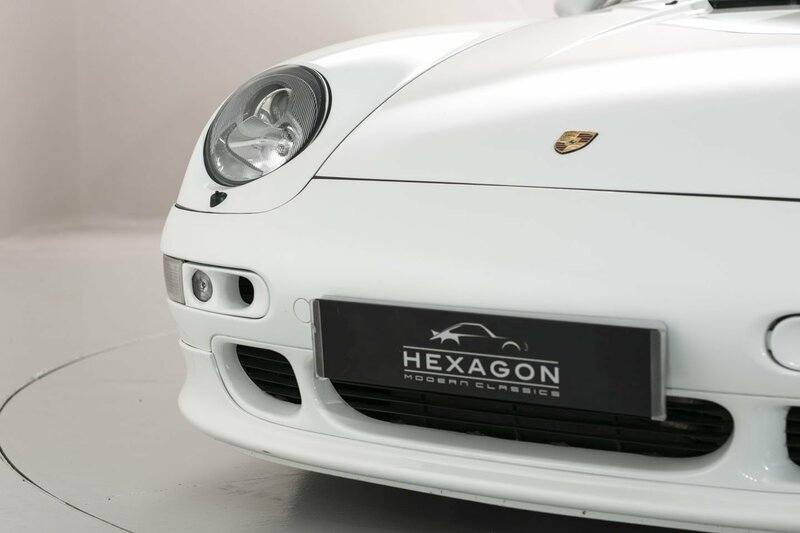 Hexagon Classics is thrilled to offer a rare, low-mileage Porsche 993 Turbo ‘X50’ for sale at its Finchley showroom in London. 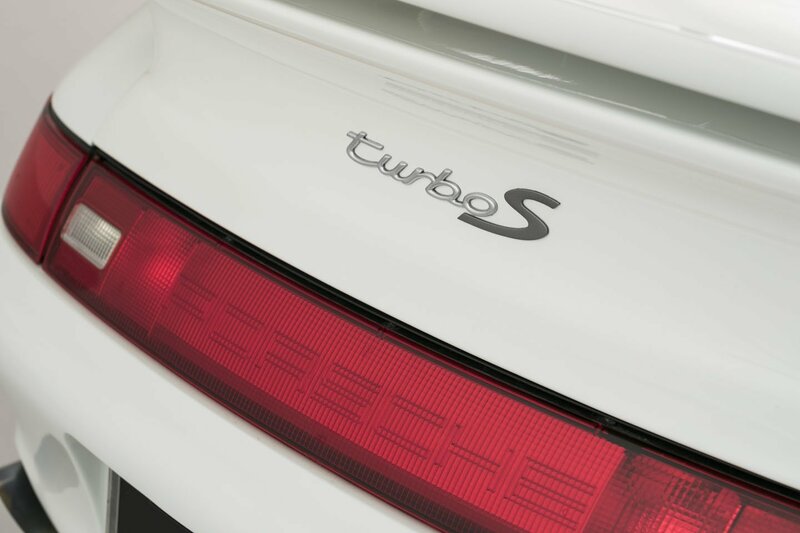 Featuring a range of factory-fitted options, this incredible car has effectively been upgraded to Turbo S specification, from the engine to the body kit, and even the badging and yellow brake calipers. The X50 power pack was a factory fit option that added the ECU, oil cooler and twin tailpipes from the Turbo S model to standard Turbo variants, pushing power up to 430hp (331kW). 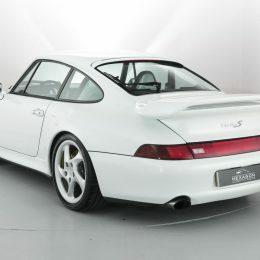 The immaculate Grand Prix White model also features X79 air inlets to the rear wing and Turbo S front air intakes, and has completed just 26,200 miles over the course of its lifetime. 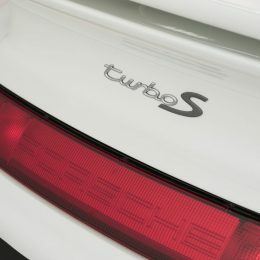 With its low inertia turbos and six-speed close-ratio transmission, the Porsche 993 Turbo was a huge sensation when it launched in September 1985. 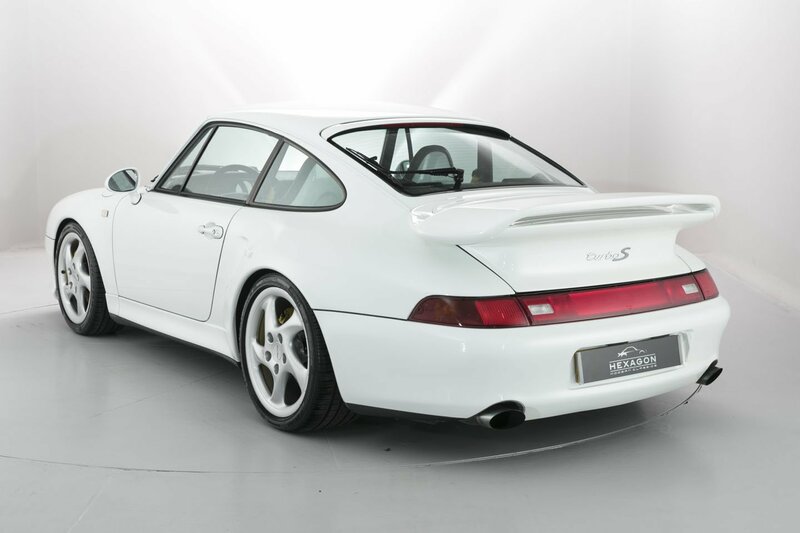 Originally based on the Carrera 4, the 993 Turbo was so outstanding technically that it was later compared to the incredible 959 supercar. 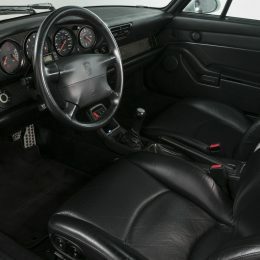 Priced at £199,995, this left-hand-drive car is one of the best examples in the world. 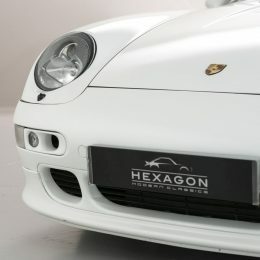 First delivered to Japan in 1995 as one of just 60 LHD X50-optioned cars registered there, it is now registered in the UK. 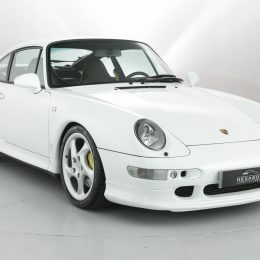 It has been meticulously looked after, sold with 13 service book stamps and a Porsche Certificate of Authenticity, black full leather interior and, of course, electric sports seats with body-coloured backs and yellow seat belts. 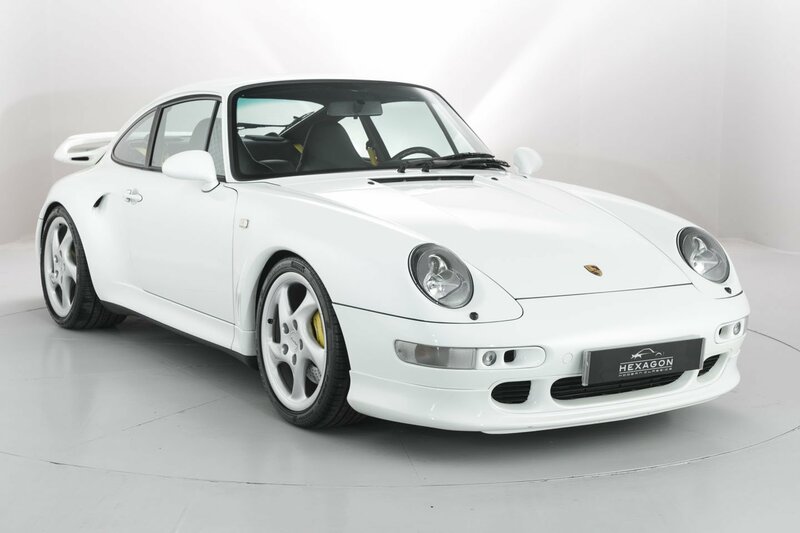 The 993 Turbo is presented in wonderful condition with pristine Grand Prix White paintwork. It also comes with air-conditioning, twin airbags, ABS 5 braking system. 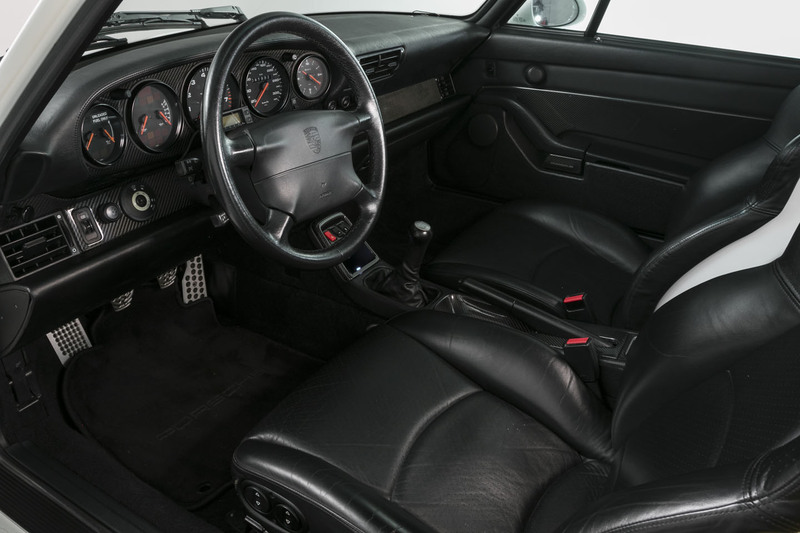 This particularly low-mileage 993 Turbo X50 also has a fitted Clifford Alarm and will be supplied with a comprehensive 12-month warranty.